The crystile series glass tiles is compromised of several sizes and colors of a beautiful 8MM crystal glass tile. 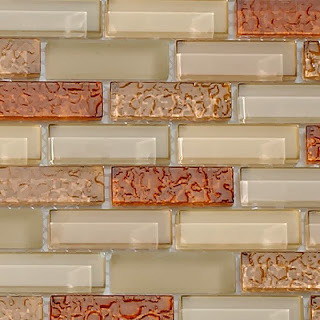 Offering sizes of 3 x 6 glass subway, 4 x 12 large subway tile, a 1 x 3 glass mosaic tile solid color, a 5/8 x 12 glass liner bar and a glass mosaic blend tile as well. The Crystile Series glass tile is a crystal clear tile with the colored backing baked on the back to give it the beautiful color that it has. The glass subway tiles are sold by the box of 15 pieces and the mosaic mesh mounted sheets are sold by the sheet and the glass liner bars are sold by the piece, with only a minimum order of 5 on the glass liner bars. The Crystile Blend glass tiles are a showcase of popular colors blended to be perfect color set for any kitchen backsplash or even an accent tile in a shower or wall design. Mesh mounted for easy installation, it can also be cut down into a listello size deco for a kitchen backsplash. Can easily be blended with the crystile glass subway tiles as well. For more information, please feel free to visit our site at www.belktile.com!